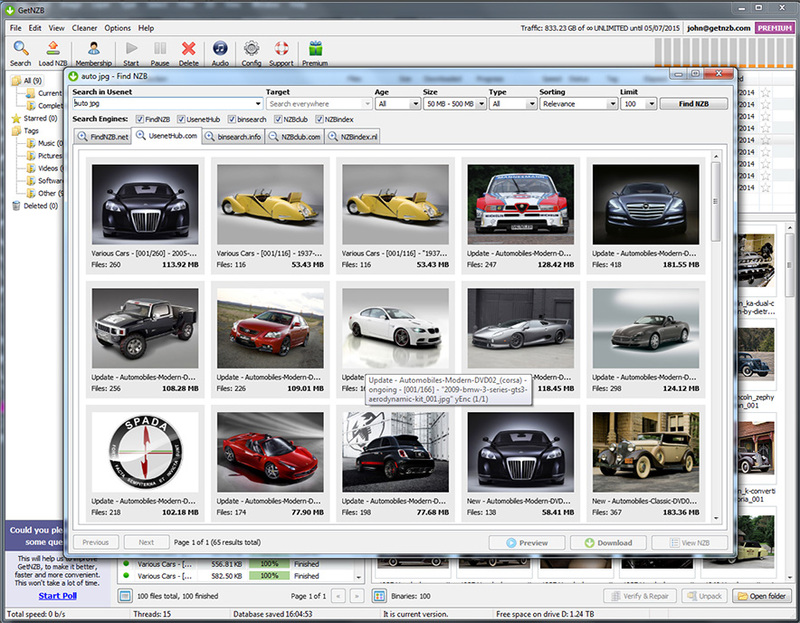 The GetNZB newsreader offers an intuitive content navigation and browsing interface. 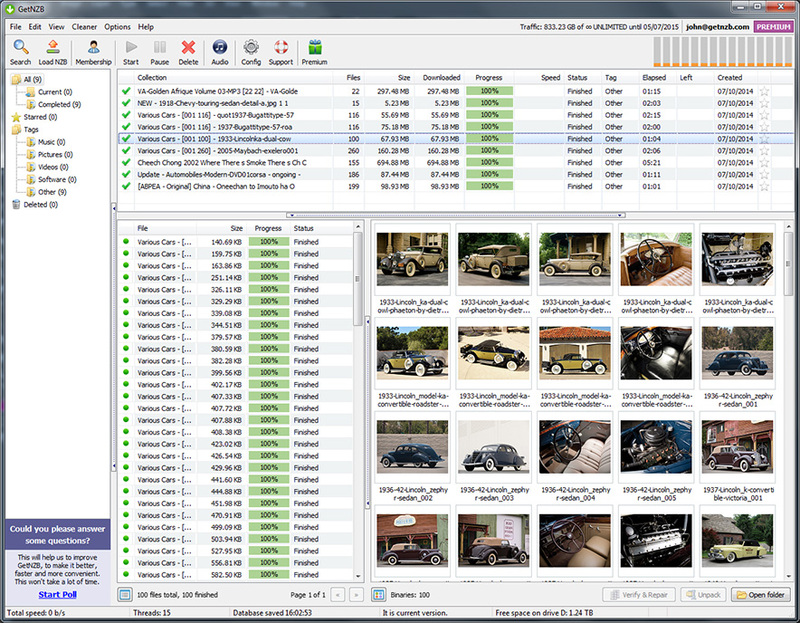 You will be able to preview the content while downloading and navigate between files using the integrated browsing tab. We've integrated several popular search engines like Binsearch, NZBclub or FindNZB into our Usenet downloader to provide easy and fast search for files posted to binary newsgroups. With just few clicks you are able to find the content and start downloading from news servers to your PC. Usenet is uncensored network what leads to the fact that some of the uploaded files are not complete or damaged. Some parts of the binary data can be deleted from the servers. To be able to restore the archive, GetNZB has an integrated Repair Tool that can try to restore the data using attached PAR2 files.